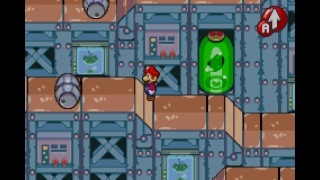 Mario And Luigi: Superstar Saga started its life as Super Mario RPG 2 for the Nintendo 64 before Nintendo had decided to stop supporting its home console in favor of developing its successor the Nintendo Gamecube. The game eventually made its way onto the then popular Nintendo handheld Gameboy Advance under the new title Mario And Luigi. The series has since had several sequels including a 3DS entry titled Mario And Luigi: Dream Team. This first entry retains most of its original gameplay features and content that it had during its brief life as Super Mario RPG 2 except for the removal of the other playable partners. The story is clever and witty with some zany humor that is so well written that I was actually brought to tears from laughing during a few of the more hilarious lines of dialog. No puzzle can't be solved, if you can't progress further into a dungeon it means that you haven't obtained a necessary item to advance further. Thankfully most power up's are obtained just through advancing through the game's story and the few that aren't won't force you to go out of your way to find them. 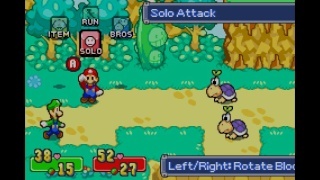 Battles play a pivotal role in Mario And Luigi: Superstar Saga and they are a blast to play, however the game's action commands that allow you to press a button to increase damage dealt, decrease damage taken, and even avoid or block incoming attacks are too easy to execute making most battles with the exception of a few of the most difficult bosses far too easy to beat. Mario And Luigi: Superstar Saga will take most RPG veterans just 20-25 hours to finish, however those that are new to the game or don't normally play role playing games will likely clock in around 35-40 hours in order to beat this game. Besides the main game there are several side quests and minigames that could increase the length of the game by as much as 10 hours, but there isn't much reward in doing so besides bragging rights for completing the game one hundred percent. Just like every other Mario game on the Gameboy Advance Mario And Luigi: Superstar Saga allows players to play an updated version of the classic arcade title Mario Bros, however with the absence of multiplayer on every Gameboy Advance title on the Wii U VC service this mode is made quite dull and underwhelming. 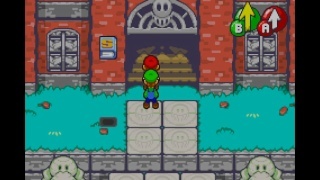 The artistic look of Mario And Luigi: Superstar Saga is nothing short of breathtaking with so much detail in the character models and the world itself it's easy to lose yourself in its beauty. It's hard to believe that the game is more than a decade old given how good the graphics hold up even by the standards of the industry in today's time! The upbeat music and lighthearted vocal grunts are as good as you would expect from a game that bares the Mario And Luigi name. Some of the music will be recognized immediately by longtime Mario fans, but most of the music is completely unique to this game. Final Verdict: Mario And Luigi: Superstar Saga is one of the best games in the long running Mario And Luigi series and has some of the most humorous dialog that I have ever seen. The stunning graphics and upbeat music also add to the positives that this game offers. 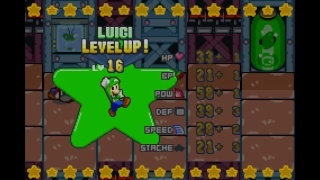 The only negative I can say about this game is that the battles are far too easy otherwise Mario And Luigi: Superstar Saga is a game without flaws! What a review! Your review is almost as good as this awesome game! I agree this is the best game in the entire series! This game is a masterpiece, but the lack of Mousers really irks me. @Mouser wrote: This game is a masterpiece, but the lack of Mousers really irks me. M&L:SS is one of the best GBA games period! Otaku wrote: M&L:SS is one of the best GBA games period! I agree, it's a shame that the same can't be said about Dream Team and the 3DS lol. Mario And Luigi Dream Team isn't awful, but it should have been much better. Great review. This game deserves the praise it has received! This game is so good that I would have downloaded it without reading any reviews. @Elza wrote: This game is so good that I would have downloaded it without reading any reviews. Why is this in the Wii VC reviews section lol? This game is fantastic, and definitely one I'd like to download in the near future. Xiao Pai wrote: Why is this in the Wii VC reviews section lol? Really? That could further confuse people who can't tell the difference between Wii and Wii U.
GamerZack7 wrote: This game is fantastic, and definitely one I'd like to download in the near future. Too bad Nintendo has changed both of their Mario RPG series into different genres. Paper Mario is awful, but Mario and Luigi is still good despite becoming more of an adventure game. Nintendo desperately needs more RPG's not more platformers and adventure games. 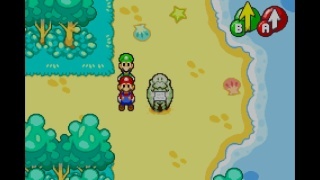 Superstar Saga was the best Mario and Luigi game and it is a true RPG! I hope that you return to WiiWareWave soon!